Rankesh Gurung has been the managing director of Nepal’s leading mountaineering and trekking company, Passages Nepal Pvt. Ltd since the company establishment. Rankesh has successfully led, Mountain trip, Trekking and climbing in the mighty Himalayas over the past 17 years. He has led many treks to Everest Base Camp, Annapurna Circuit, Langtang region trek, Ganesh Himal, Mt, Manaslu trekking and expedition, Western Nepal trekking of Rara lake, shey Gumpa, Dolpo- mustang trek, Mount Kailash, Tiber tours, India and Bhutan. His experience in planning successful climb for mountain trip to Mt. Everest Expedition, Baruntse, Cho Oyu, and Pumari and to Island Peak, Mera Peak, Lobuche Peak, Chulu East, Chulu West, Pisang peak, Paldor peak and other grades A and Grade B trekking peaks to Mountain expedition and hiking-trekking. His several years' experience gave him erudition to the point of the mountain, tourist routes, Nepal trekking, and hiking trails, people as well as mountain expeditions. It let him organize a really nice and experienced team which provides you with unforgettable feelings in wonderful mountain scenery with a friendly company. Rankesh has worked as assets and were of great help in his successful climb to Mera peak and Island peak throughout every year. The trekking holidays he organized are great and unforgettable from his warm and friendly environment. He organizes Responsible travel and tourism for all types of trekking and mountain trip holidaymakers. Rankesh Gurung has not only depth experience of operating Nepal mountain travel trip and trekking adventures, but He has also great knowledge as of program coordinator for the village community development projects and he is President for HEED Nepal organization. Our company or Passages Nepal Pvt.Ltd. shares 5% of its trekking, comping, and Mountaineering for the charity works in the village. Now the rural poor have 5 new school building, 4 renovated school building and support 6 teachers, school supplies, books, notebooks and textbooks for the school. The lives of the people have been changed through the MAPs program. MAPs are popular in 15 mountain and hilly VDCs. The MAPs aim is to protect the Medicinal Aromatic Plants in wild and domesticate them into the local mountain terrace land which has 4 times more value than of the traditional crops. This program believes that to stop the mountain melting and global warming. The HEEDs program of “Save the planet through Recycle” (STPR) is created by the program director Beni Rani Ghale has supported the FAMILY IN NEED and their children Education. We collect the nonbiodegradable plastics and process to make ornaments and things for reuse. This program has saved the environment and lives of the people. 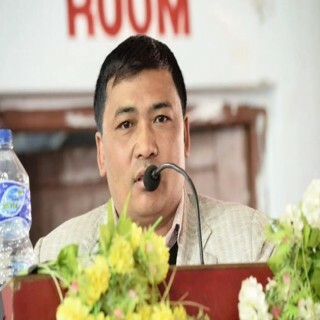 For the tourism development initiatives and to sustain the tourism in the country of Nepal, He is Secretary for the Ganesh Himla Tourism Development Committee. His First aim to develop the tourism in Ganesh Himal Region which is in the least development categories within Nepal, for example, ‘Tourism’. The hard and step developing lesson is the key fundamental for his success in Travel Business, tourism and development initiatives of rural Education, Health, Environment, Empowerment and Development where HEED stands. In additional, Rankesh is Senior advisor for “Raising Nepal social service club” Dhading, Tipling united club Dhading, Heed Nepal Tipling youth club Dhading and Chair of Himalayan Organic Agriculture cooperatives Dhading, This is because of his longtime experience of his involvement in the community development and support he made to mountain people being very sincere and operating responsible travel and tourism in the Himalayas. 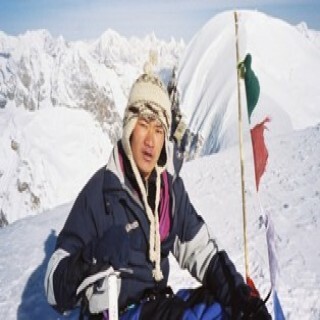 He has created a club/ Group for mountain climbing as a guideline “Climbing First Limit, Teach Mountain Summit”. Purna Gurung is from the mountain of Northern Nepal called Ganesh Himal region which is in the meddle Langtang Himalaya range in the east, Manaslu and Annapurna in the southwest leading Himalaya guide in Nepal since 2000. He has trekked almost all over Nepal Himalaya and climbed all the Nepal Peaks. He is very hard working, honest and clients take a career. He works always responsible ways and he is trusty of Nature culture and adventure holidays as well as a social worker for Himalaya communities. He has lead several community-based organization to assist rural poor on the offseason of trekking and climbing. He is funny, sincere and mountain manner on his working period. Purna makes a wonderful trip for his clients in many different alternative ways for success. He trusted his guiding in Himalaya, climbing instructor and wellness manager for all climbers and trekkers. He has not only the experienced of the mountain also the cultures, weather forecasts and mind reader of clients that can find out the reason and weaknesses. His work is always genuine and takes cares from the airport to the Himalaya and airport after a joyful trip in Nepal. He mostly guides Annapurna Himalayas, Everest base camp and region, Annapurna base camp, Langtang valley, Tamang heritage, Gosainkunda, Ganesh Himal ruby valley, Paldor peak, Helambu, Dolpo, Rara himal, Kanchenjunga, Tent peak, Mera peak, Island peak, Lhotse others. He was awarded as the best guides in Nepal Himalaya and Tibet as well as mountain charities. Birendra Gurung (Chitra) is office Assistance to our clients. Song wang is the best tour and sightseeing operator in Nepal from from china.